Fitness had always played a role in Andy Bergholz’s life; the most enjoyable reflections of his athletic career were spent pitching for UW-Whitewater. Now being married with three kids and working full-time requires a drastic adjustment of priorities. For years, an outlet for his fitness didn’t seem as feasible as when he was in college — until September 2018, when Andy recalled something. His wife, Megan, whom he met at UWW and who played volleyball for the school, has always been in shape, but when she began CrossFit100 she hit another level with her fitness. This gave him some of the motivation he needed to make the change he sought. We spoke with him recently to hear about his journey. What drew to Crossfit 100? My wife has always maintained a good degree of health, but when I started noticing the results from her efforts at CF100, it caught my attention. I had a goal of getting back into shape from where I was in college, so it felt like a good fit and outlet for me. Playing organized sports for much of my youth made me miss the help that comes with a structured and fit environment. I was motivated and ready for a change, but a busy business and three (beautiful) kids made that change difficult to prioritize. I’ve come to realize that physical activity is an outlet I need in my life to achieve a better life balance — so that was part of it, too. I really appreciate that there’s structure that combines a physical workout with proper nutrition that helps me track my progress. 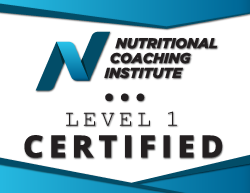 You’re also involved in the nutrition program at CF100. Can you share a little bit about what that shift was like for you? Until I started the program, I had never dieted or made any structured effort related to nutrition. Counting calories, protein, fat, and carbs was (and is) a big adjustment. The first month, I dropped quite a bit of body fat and about 25 pounds total. While weight loss wasn’t necessarily my goal going into it, what the structure of the nutrition program did offer me was just being mindful about what I was eating. Now before eating something, I check the label (If I don’t know what I’m eating) and track my food with an app on my phone. This approach has naturally helped me have a better diet and consume healthier foods. Now that I’ve gotten into a groove, I feel like I’ve learned a foreign language, really. The dieting portion of the program has changed everything for me. Define what your day-to-day eating habits look like now. My eating habits now blend a balance of protein, starch and vegetables. Generally speaking, I’m eating a lot of hard-boiled eggs, turkey and chicken. I initially found that it was tough to figure out where to go if I was scheduling a business meeting over lunch. It’s an adjustment to develop new habits, but it does get easier. Can you summarize your journey thus far? The biggest challenge was getting started… finding the time and making the commitment. I had the motivation, so I when I committed to making CrossFit a part of my morning routine, I just dove in. Having young kids naturally grooms you for an earlier (5am class). Once I made the adjustment to my schedule, the mornings have worked out quite well. I usually follow a morning workout with a protein shake in the morning. I started with the LITE classes, but they really didn’t feel light; in fact, they felt pretty heavy. I was really sore for the first two weeks. Once those classes started to feel more manageable, I moved on to the basics program and then CrossFit classes. Within the first 6-8 weeks, I started noticing some positive results. I entered this journey really just wanting to feel better and have an outlet for fitness. The support system is there too. There are so many nice and kind people in the classes. They’re very supportive. I’m in much better health now. Right now, I’m just focusing on maintaining my current program and working on getting stronger. What have been your takeaways so far? My energy levels were dipping in my early 30s. I spend most of my time between enjoying my three young kids and growing a business. That said, I needed an outlet for fitness with structure, and this was it. I first needed to figure out why I wanted to do this. Then I allowed that motivation to move me, to change me and to keep me coming back. Health is like any other relationship. You’ve got to keep grooming it and find ways to keep it new and fresh. Nutrition is vital to progress. Meal prep is key. I think the comradery is a big part of my success here. Making the effort to build that with the community around me has really built a neat and supportive group. Allow others to inspire you and allow yourself to be inspired by them, too. We think the best is yet to come for Andy!